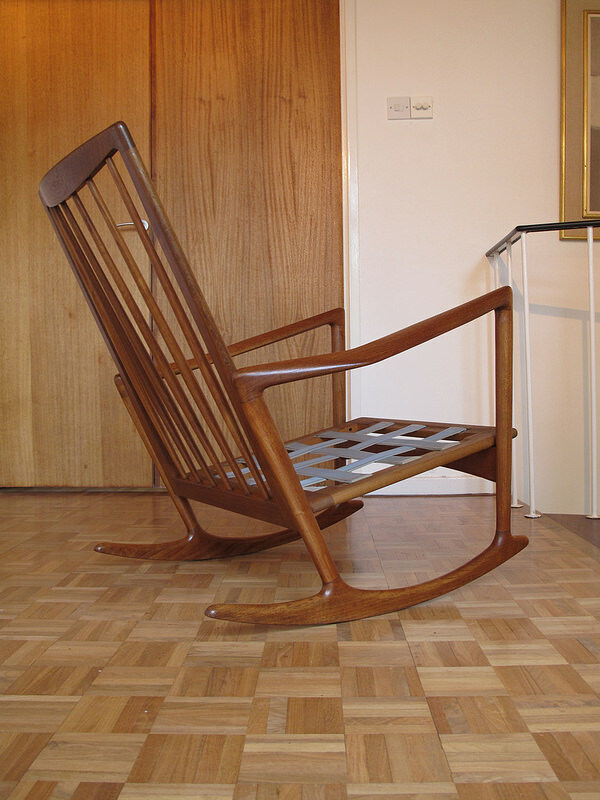 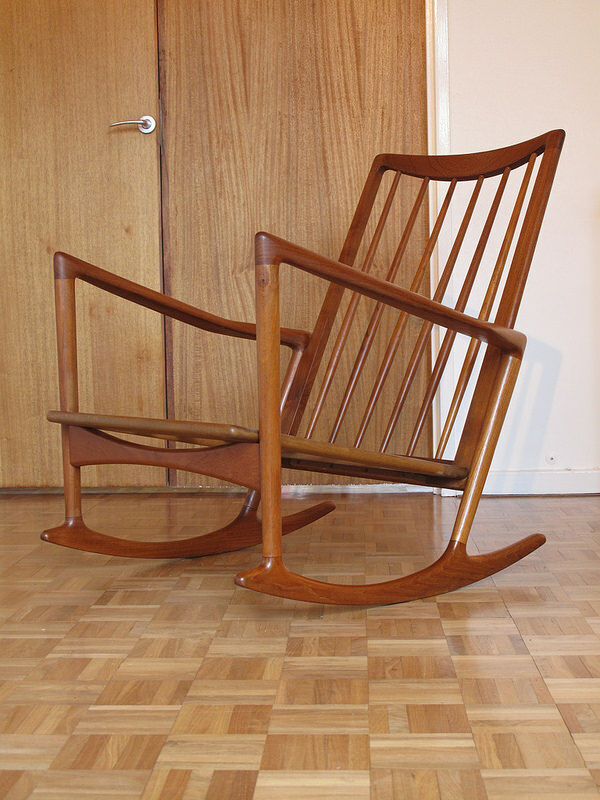 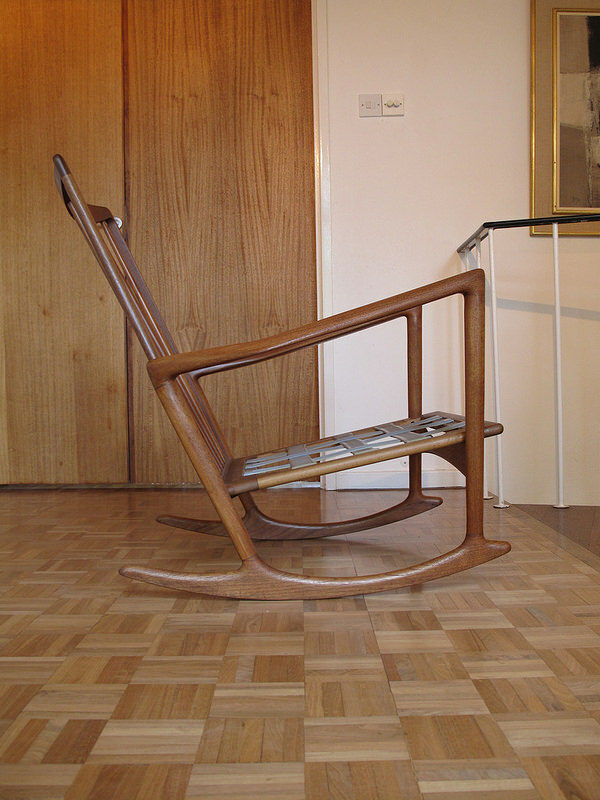 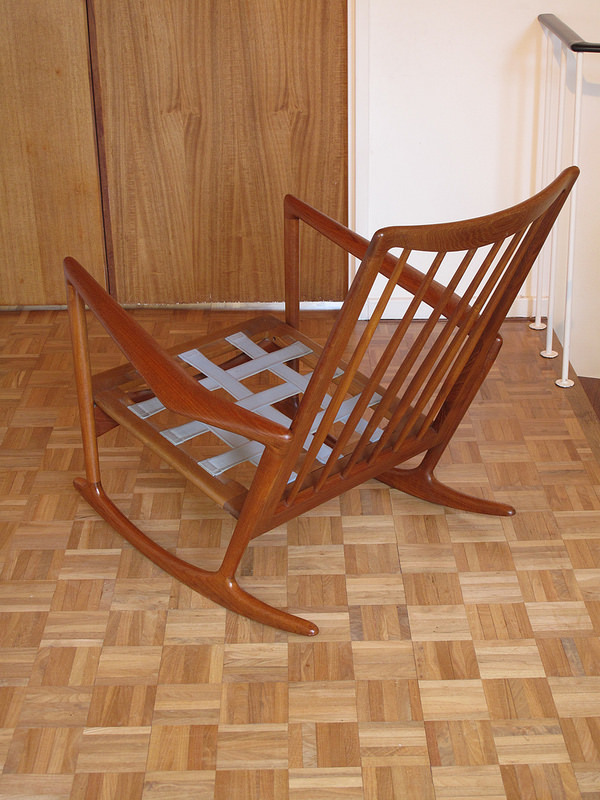 The Model 650-15 is one of the most elegant and dramatically designed rocking chairs you can find. 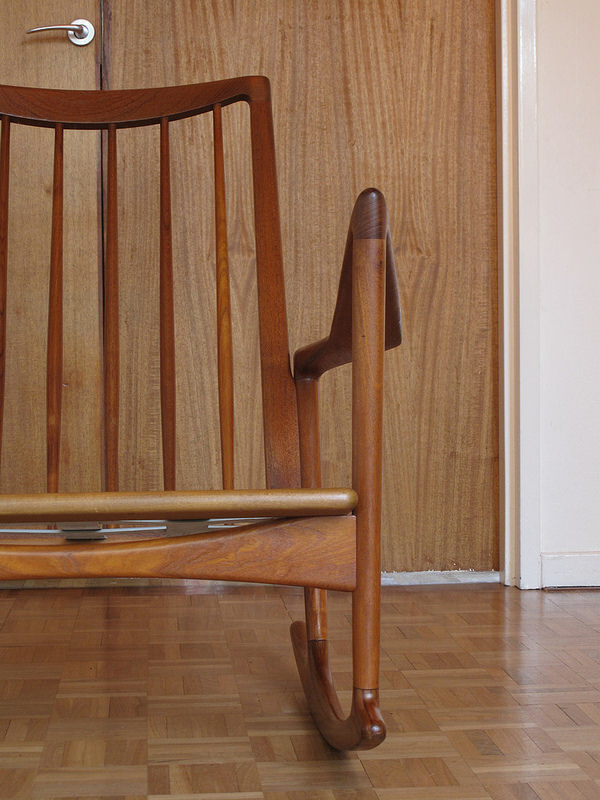 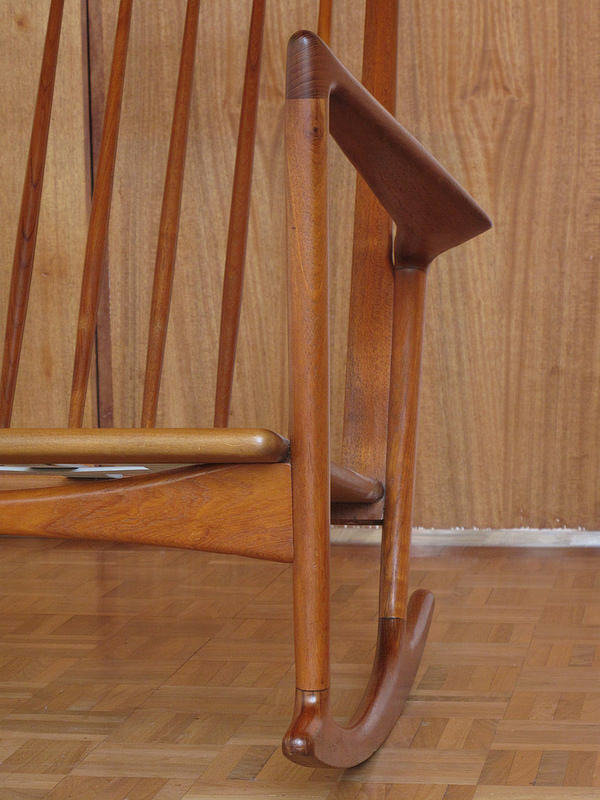 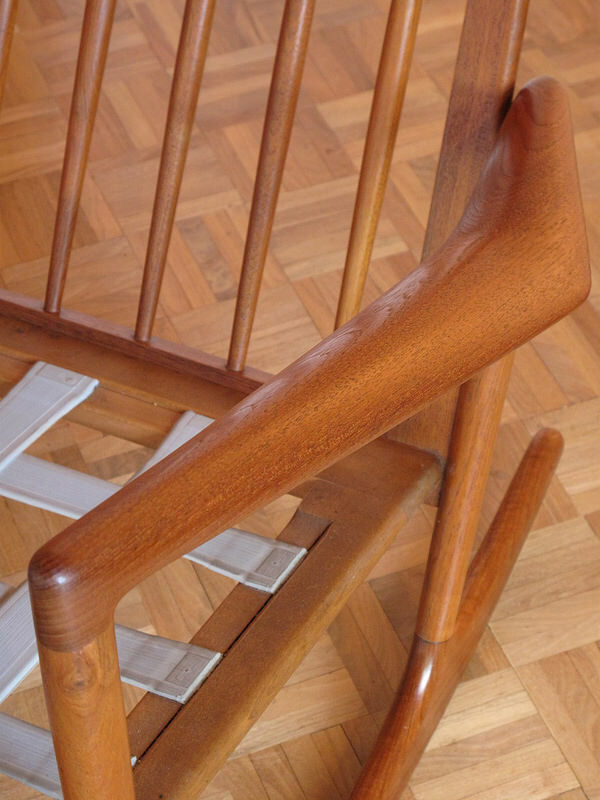 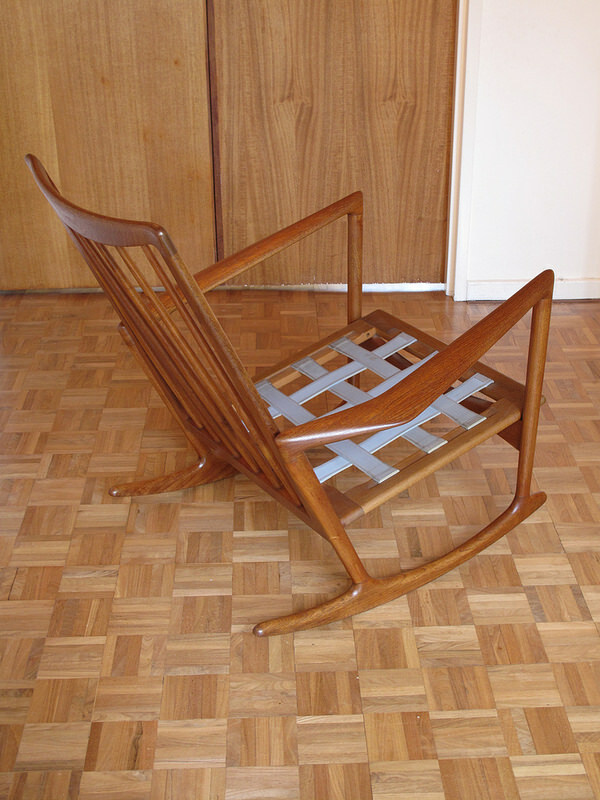 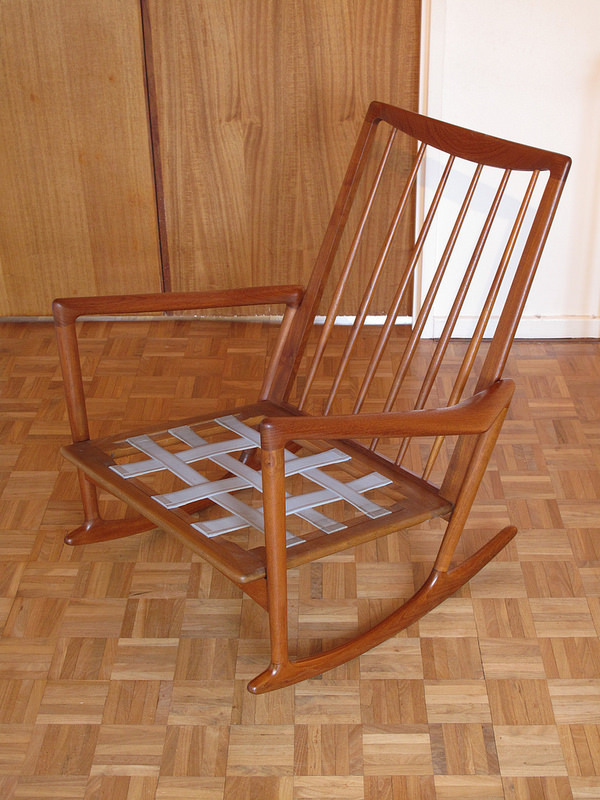 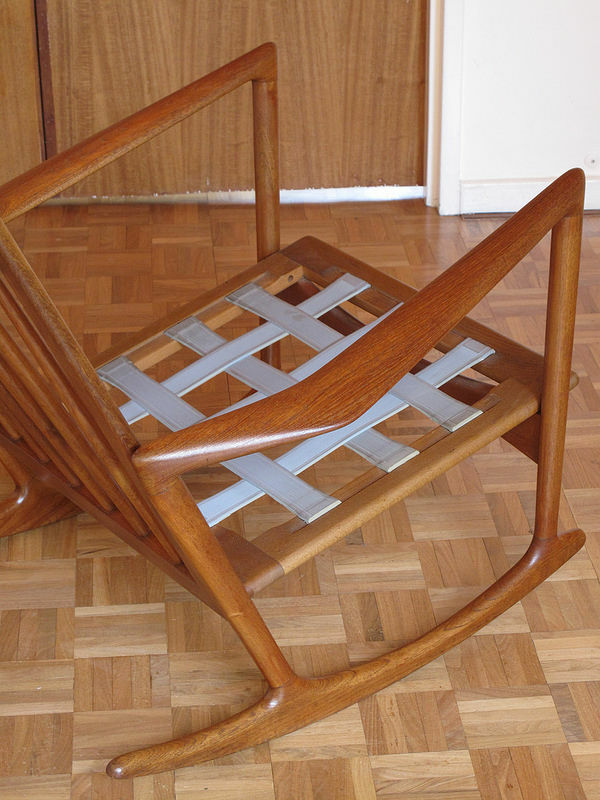 This is a very rare solid teak version designed by Ib Kofod Larsen and produced by Christian Linneberg, Denmark. 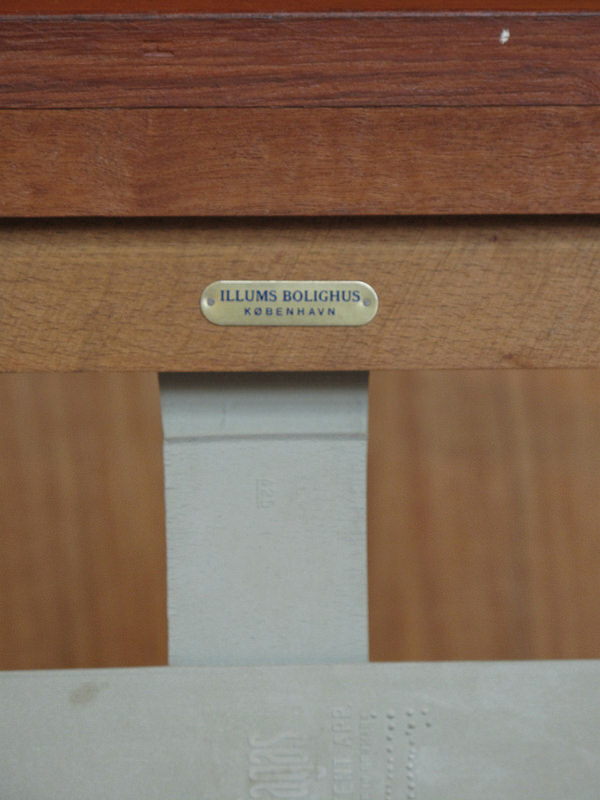 Most examples were produced in beech and almost exclusively exported to the US and rebranded by the US agent Selig, this example retains a metal tag from Copenhagen design store Illums Bolighus. 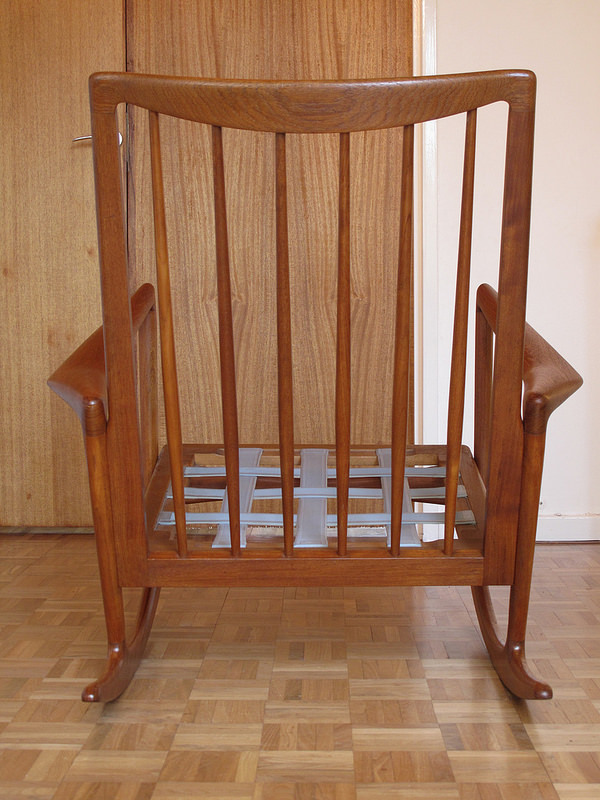 We are leaving the choice of upholstery to the customer with this chair. 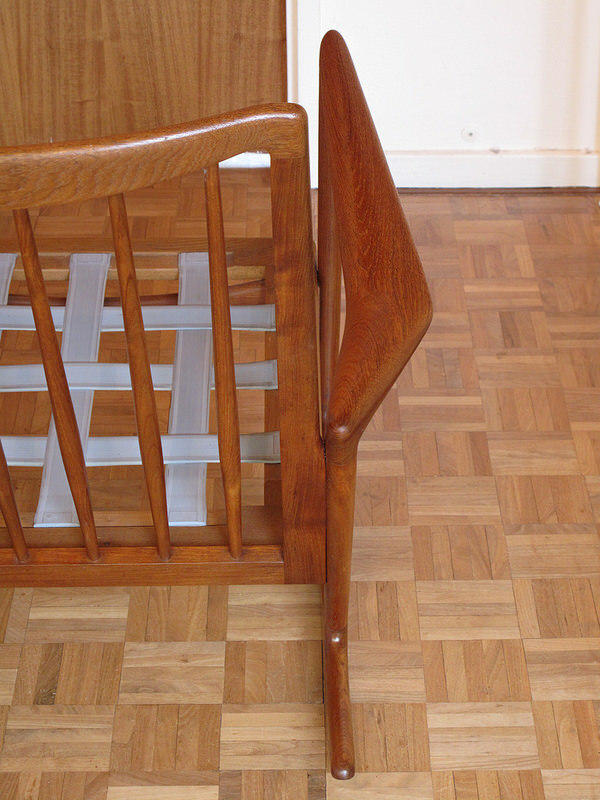 We have experimented by putting some cushions from a sofa on it and I can guarantee it is one of the most comfortable chairs you will ever experience. 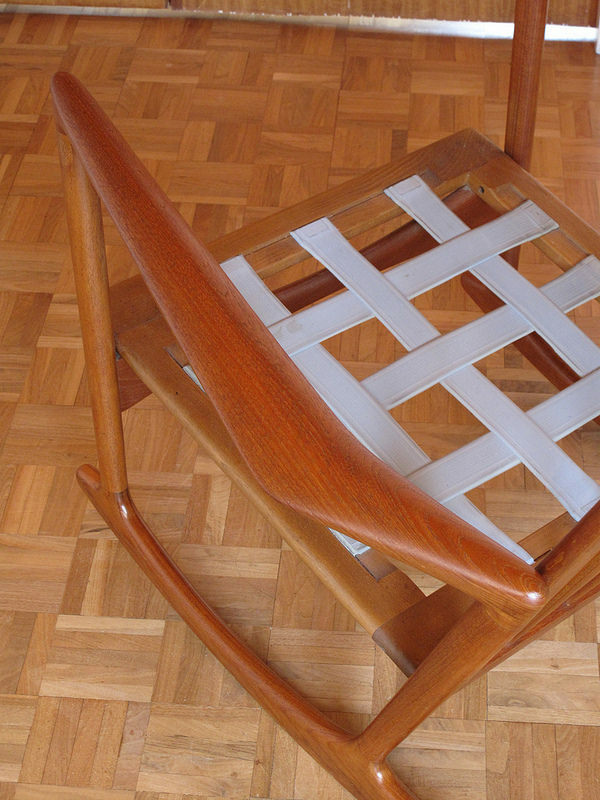 It is a serious looking design so we would recommend leather, we have swatches from fine quality leather and fabric suppliers and can help choose the best option for you.